We do an engagement session for every wedding couple. In fact, we won’t shoot their wedding if they aren’t willing to do an engagement session - that’s how much we believe they are critical to the overall experience. If our role is to effectively document the story of our clients, it’s our responsibility to best prepare ourselves by knowing and understanding who they are. Here’s why we believe Engagement Sessions are so important. Because our wedding approach is centered around capturing authentic, “real” moments, anything we can do to help our clients feel more comfortable around us helps. For us, and engagement session is more than a photo shoot. It’s an opportunity to explore, and discover how our clients interact. It helps us to learn more about who they are, and what matters most. We usually devote at least 90 minutes for a photographing our couples, and then we take them out to coffee or dinner. This gives us time to listen to our clients as they describe their story. It gives us time to hear them talk about how they envision their wedding, and gives us a clear understanding of the story we’ve been commissioned to capture. In addition to understanding the story, the time spent in an engagement session helps us build a relationship. The result is that on their wedding day, they know us, they’re excited we are there, and they trust us. As a wedding photographer, we’re with our clients for almost every important moment on their wedding day. Because we’ve taken the time to invest in our clients - and build a relationship - we’re able to blend in to the environment, and do our best to serve our clients. When we show up to their wedding, we’re more than just a vendor - we’ve broken through the awkwardness, and they’re comfortable around our camera. We work it all our during the engagement session. It gives us the opportunity to capture them uninhibited and authentic. Since we shoot an engagement session with every wedding, it’s not something you’re expected to pay for. It’s not something we charge for, or try to get you to purchase a bunch of extra images from. 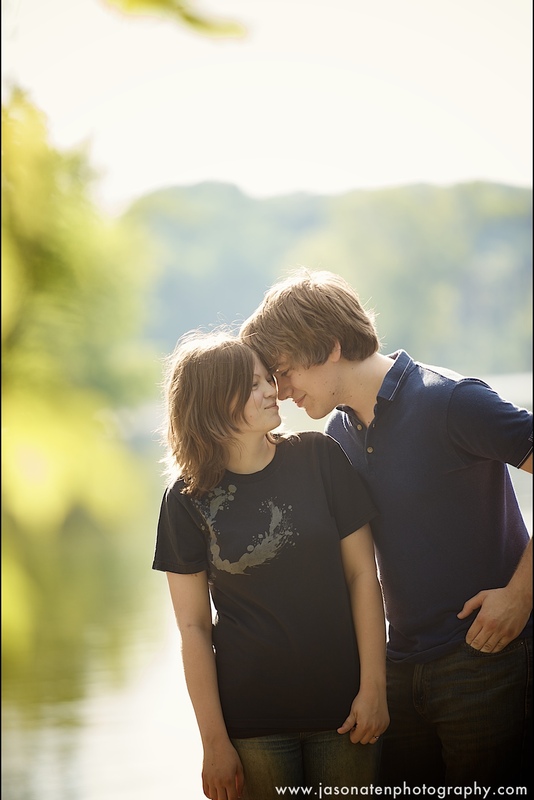 We believe that for the reasons above, and more, that an engagement session has HUGE value to our clients. We include the images with the wedding gallery, and it’s an opportunity for a couple to personalize things like their invitations, save the dates, guest autograph books, or signature mats. The last reason we LOVE shooting engagement sessions is because they are a ton of fun for both us AND our clients! We do things we wouldn’t be able to do on a wedding day - and we capture images that are much more relaxed than are possible at your wedding. We pick a location that means something to our client and just have fun! The goal isn’t to create “perfect poses,” but rather to capture you “perfectly,” as you are.